Mr. Air Heating and Cooling is the name to remember for dependable, reliable, and trustworthy HVAC services in Etobicoke, Maple, Markham, and Vaughan. Our team of certified HVAC technicians has been skillfully trained in the installation and repair of cooling and heating systems. We also specialize in duct cleaning and can provide emergency air conditioner repair and furnace repair services as well. Furthermore, we offer customizable preventative maintenance plans that can be tailored to meet your specific needs and those of your household. No matter the age, architectural style, or size of your home, we’ll keep you comfortable all year round. Mr. Air Heating and Cooling has been providing customers with the highest quality HVAC services at the most competitive rates in the industry for years. We believe in providing a more personal approach by focusing on the individual customer and their particular project. Our technicians pride themselves on arriving at the job promptly and providing a superior level of service. 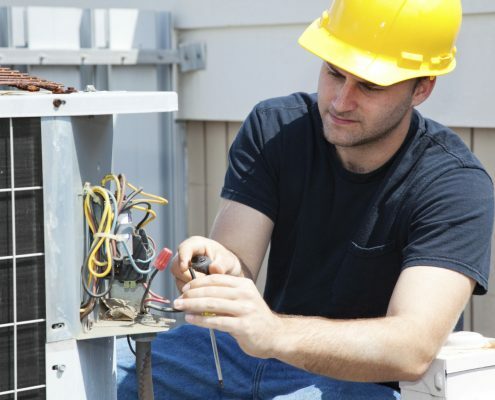 When it comes HVAC system problems in Maple, Etobicoke, Markham, or Vaughan, our expert technicians can quickly diagnose the cause and recommend the most affordable air conditioner repair or furnace repair solution at our disposal. Our technicians have the needed experience, expertise, product knowledge, and training to get the job done right the first time. Whatever is required to keep you happy, Mr. Air Heating and Cooling we will always strive to exceed your expectations. We provide efficient, cost-effective air conditioner repair, maintenance, and installation services to residents of Etobicoke, Markham, Maple and Vaughan. No matter who you speak with, we take pride in providing excellent service and always treat our customers with courtesy, professionalism, and respect no matter how big or how small the job is. We’ll arrive promptly as scheduled, diagnose the problem, and make all repairs necessary with as little disruption to your day as possible. We understand the need for a comfortable indoor climate and we will always strive to restore yours as quickly as possible. During the long, frigid nights of winter, the last thing you need is an improperly working furnace. But you won’t have to worry about that because Mr. Air Heating and Cooling is always available and prepared to provide the right furnace repair solution so that you can stay warm and toasty when the temperature “0” or below. We have the experience and knowledge to keep your Maple, Etobicoke, Markham, or Vaughan home warm all winter. 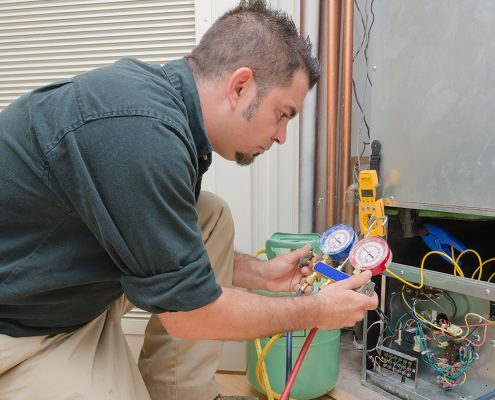 We can repair any make and model of furnace whether we installed in for you or not. You’ll be able to delay HVAC system replacement costs with a preventative maintenance plan from Mr. Air Heating and Cooling by extending the life expectancy of your cooling or heating units. You’ll be keeping your system in peak operating condition when cooling or heating your home. Over time, some furnaces start to leak carbon monoxide, a gas that can put everyone in the home at risk. If there are any potential safety risks to be aware of, our technicians will be able to identify them quickly and determine the best repair solution for improved home safety. Preventative maintenance reduces the frequency of future air conditioner repair and furnace repair service calls and the costs associated with them. The repair technician who inspects your system will be able to spot any potential problems and correct them before they become more serious and costly. When it comes to HVAC installation, maintenance, and repair in Etobicoke, Markham, Maple or Vaughan, we’ve got you covered. For more information regarding our air conditioner repair London or furnace repair services, please contact Mr. Air Heating and Cooling today.